Don't pay full price! 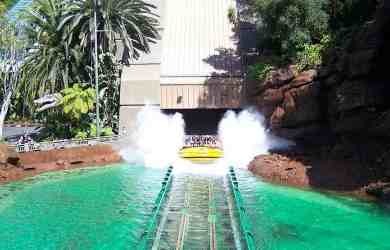 Buy Universal Studios discount tickets and affordably bring the entire family for an experience you’ll never forget. When I last visited Universal Studios Hollywood, discount tickets were everywhere. There was no waiting in the "no discount line" because everyone waited in the discount lines to use their Universal Studio Hollywood discount tickets or coupons. 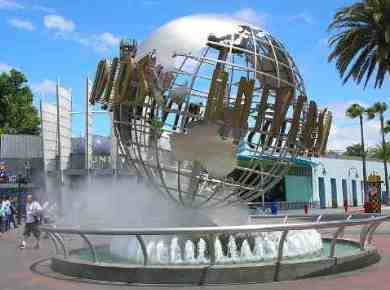 Universal Studios Hollywood is one of the top theme parks in Southern California. 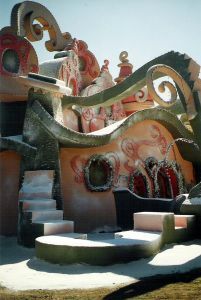 This attraction is unique because the Universal Studios offers back stage tours of TV shows and movie sets. In addition, there are many fun shows and rides. You can see most of the park in one day, which is why most Universal Studios California discounts are for a one day visit. Before we talk about the discounted tickets and coupons available, here are the regular Universal Studios Ticket Prices: Regular price is $109 to $119 per person for general admission, ages 2 and under are free. The price varies depending on the day of the week and the season (weekends and summer are more expensive). Front of the line pass price varies depending on the season, which includes priority access to all rides and attractions and reserved seating. VIP tickets are also available for an extra fee. (Keep reading below for Costco deals too). Universal Studios Discount Tickets AAA members - Check your AAA site for current offers. You may get a better deal if you purchase your discounted tickets in advance at the AAA office or online. Military Discounts - Military discount tickets may be offered if purchased in advance at your local MWR ITT/ITR office or by calling (619) 767-6000. Pricing for discounted tickets for military varies. Online Coupons - Check online for possible discounts and coupons or promo codes. Costco Universal Studios Discount Tickets - Costco stores in Southern California typically have discount passes for Universal Studios. They also have online offers which may not be available in the Costco store. Sometimes the discounts are available only in the Costco stores, and sometimes they are also available online. Some offers open to the public and others are for Costco members only. Check out the current online Costco discount tickets for Universal Studios at www.costco.com. Grocery Stores Discounts - Check the gift card rack at a Southern California grocery store and you may find discounts. Craigslist - If you want to purchase Universal Studios CA discount tickets from Craigslist, be careful. There are many scam artists out there. For information on how to buy tickets on Craigslist without getting scammed, see Buying Discount Tickets and Coupons. California Residents - Universal Studios may offer special discounts for Califonria residents. Recent prices were $99 to $104 on their website, a savings of $10 to $15 per ticket. California Neighbor Pass is available on the Universal Studios website for $129 to $149, with availability on 175 days over a 9 month period. Online special 2 days for the price of 1 (Buy a Day, Get a 2nd Day Free Offer). Admission for all rides, attractions and shows. Online offer only for two visits within any 30 day period. $15 off one day ticket price - Get one day ticket for a $15 discount off the regular admission ticket.